A face full of wet nylon is no fun. Use this super light Tent Pole Repair Kit to fix most standard poles. Fast. Bring it separately or add it to a larger repair kit. With Gear Aid, anyone can be a master of gear repair. Smiles are hard to come by when your gear is wet or your equipment has broken. So when gear fails—and it does—you’d better be ready. 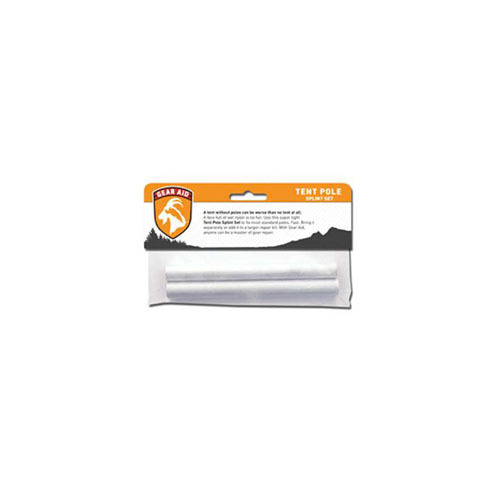 Gear Aid products help you repair and revive outdoor gear and equipment, at home or in the field. We make more than 100 products so you can fix failures, repair accidents, and extend the life of the hard-working equipment you rely on. 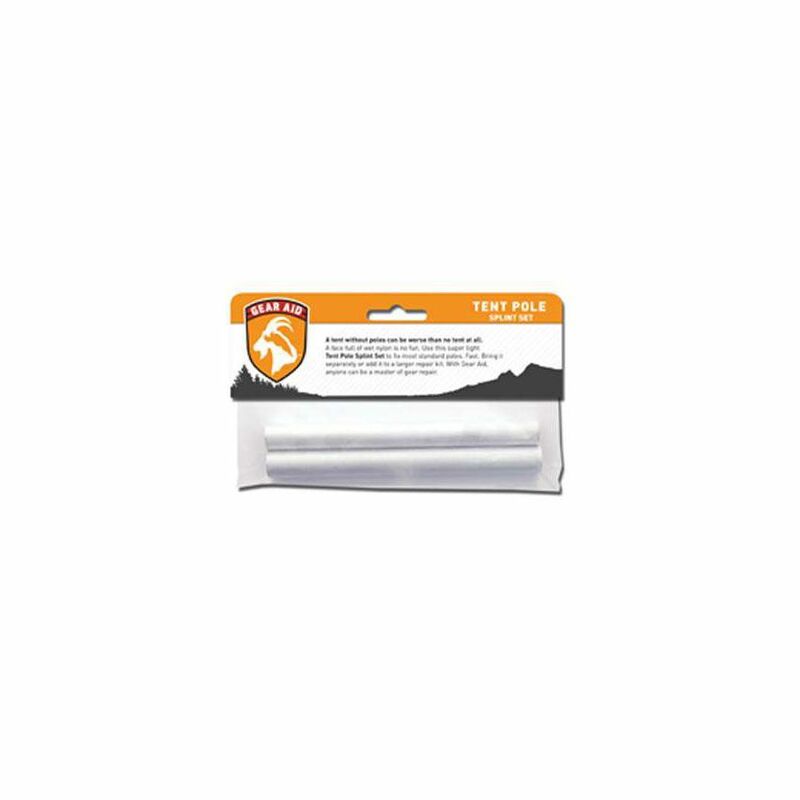 Tent Pole Splint Set is part of a comprehensive line of Care and Repair products from Gear Aid. Protect, revive, fix and maintain all your essential gear, whether at home or in the field. Gear Aid performs so your equipment can live on.